Banshee stares at the paper, then turns it upside down. "I never said I was an artist," Cayde says over Banshee's shoulder. "This gets at the spirit of it." Banshee turns the paper around again. "So that's…"
"Huh." Banshee tilts his head. "And those…"
"We're just—" Cayde throws his arms up. "We're just tossin' out ideas here, pal! Don't shut anything down until you get the whole picture." "Seems like the picture's the problem." "OK. Listen—the details aren't important. I just want a good gun that you take out and the fight's already over." He shoots at invisible opponents. "Tsuu-tsuu-tsuu! The end." Banshee relaxes. He knows good guns. Cayde clasps Banshee's shoulder. "So is that a yes?" "Great!" Cayde claps his hands. "Not to rush your genius, but chop-chop, all right? 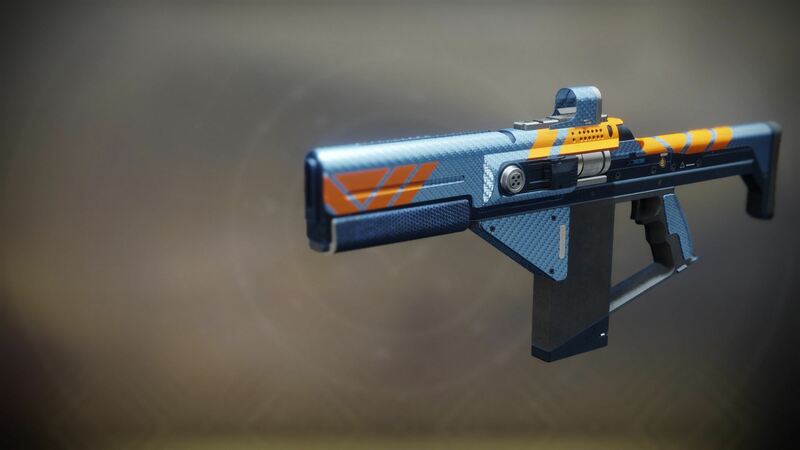 I maybe made a bet with a certain Crucible handler, and I maybe don't have the Glimmer to back it up, so… By the way, you'll do this on an IOU, right?" Banshee points to the paper one more time. "Is that…?"